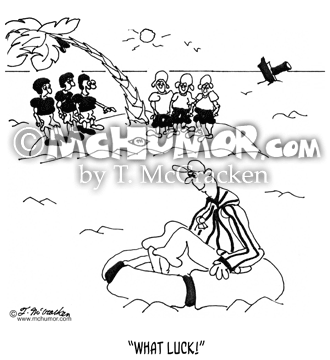 Referee Cartoon 6705: Two football teams stranded on a desert isle see a referee wash on shore. 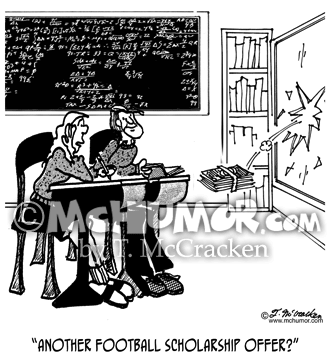 One shouts, "What luck!" 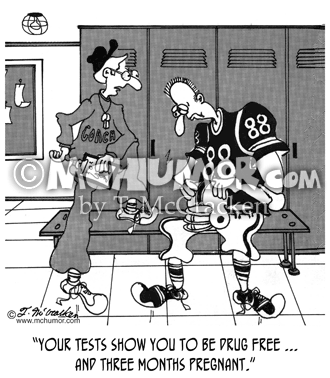 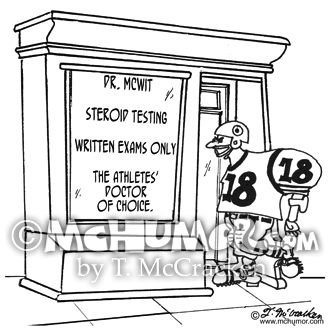 Football Cartoon 5078: Coach to football player, "Your tests show you to be drug free ... and three months pregnant." 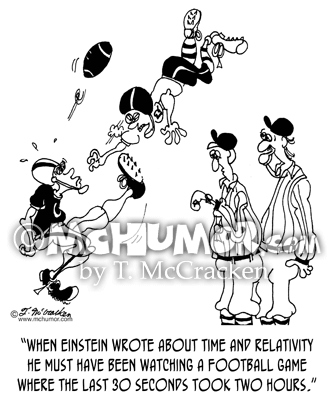 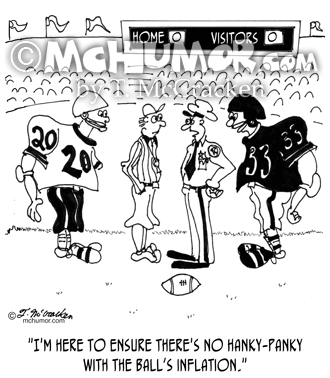 Football Cartoon 9356: A police officer on a football field says to a referee and players, "I'm here to ensure there's no hanky-panky with the ball’s inflation." 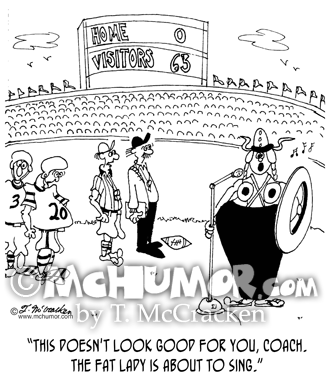 Opera Cartoon 6880: A fat lady opera singer walking onto a football field toward a microphone. 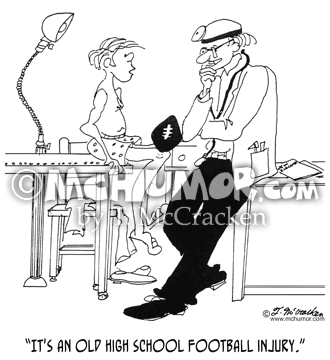 A referee says to a coach about to lose, "This doesn't look good for you, Coach." 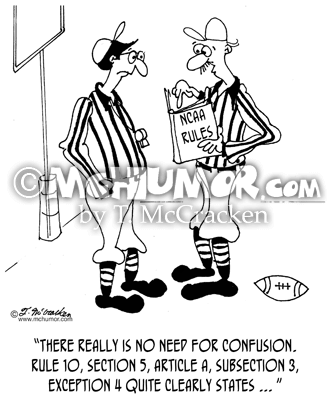 Football Cartoon 6701: A referee saying to another leafing through a NCAA rule book, "There really is no need for confusion. 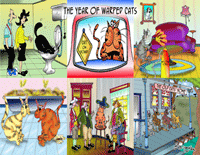 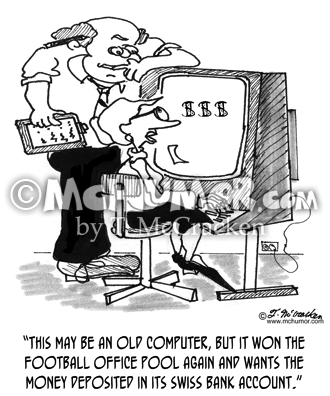 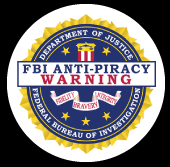 Rule 10, section 5, article a, subsection 3, exception 4 quite clearly states ... "
Football Cartoon 9092: A woman at a computer says, "This may be an old computer, but it won the football office pool again and wants the money deposited in its Swiss bank account."